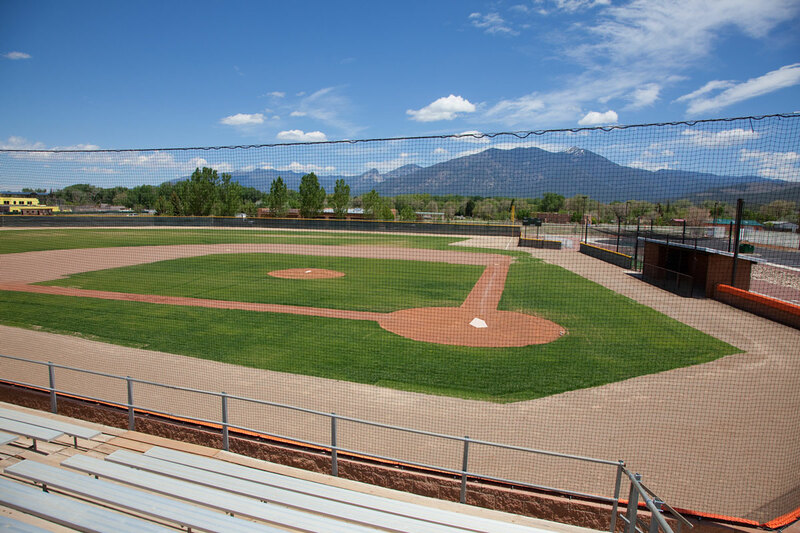 The Taos High School baseball and softball fields north of the High School Campus completed Phase II of a three-part development of THS athletic fields. 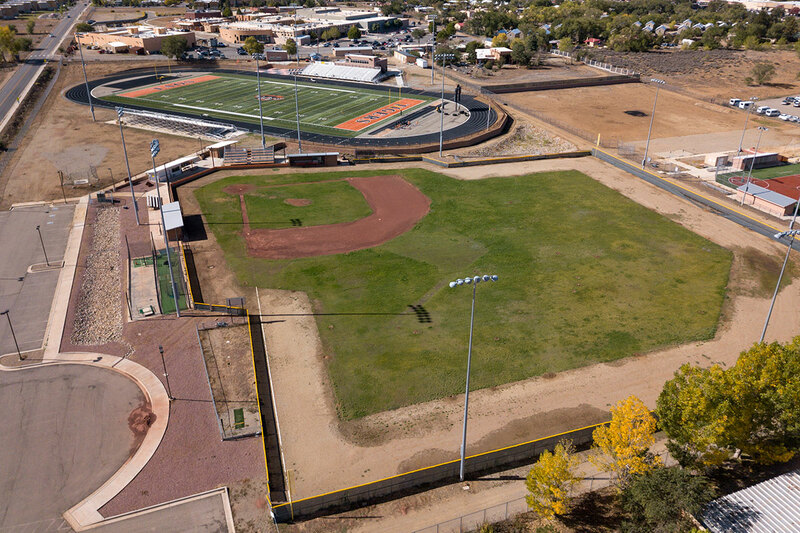 The new baseball field, which replaced the existing field, was rotated 45 degrees, so that home plate was oriented to the north. 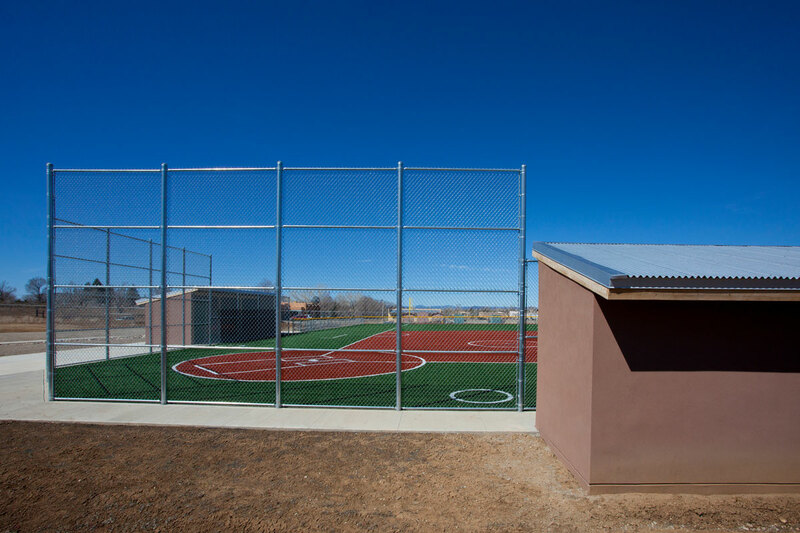 The scope of the project included: dugouts, field lighting, backstop netting, perimeter chainlink fencing, parking lot, batting cage, and site drainage. 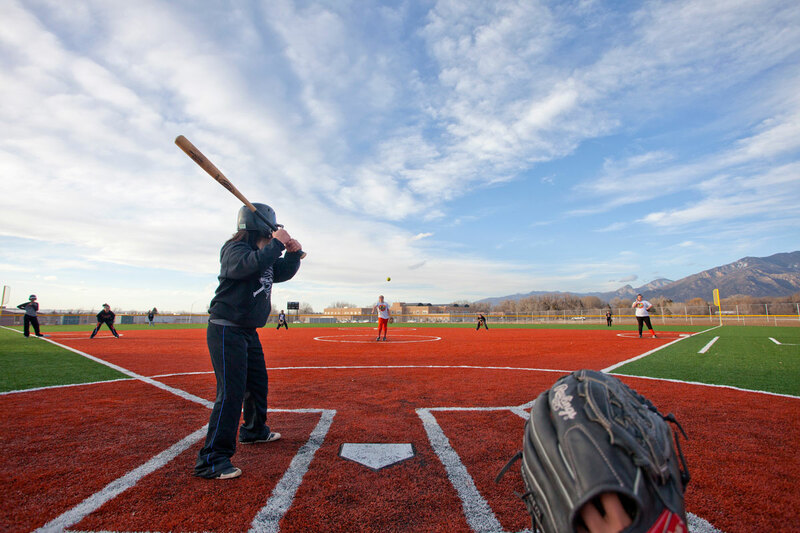 The softball field was designed and built a few years after the baseball field. Living Designs Group was called upon, before any design work commenced, to help THS acquire the site, and get the project through the planning and zoning department. Once the design started Title 9 became a large part of the design and development process. Living Designs group is especially skilled at navigating Title 9 regulations. 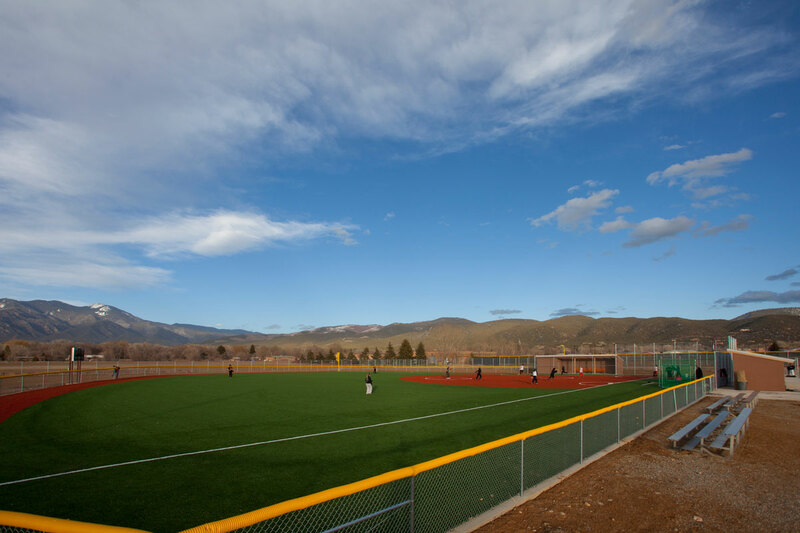 Similar to the baseball field the scope of the softball field included: a turf field, dugouts, parking lot, site lighting, and site drainage. Living Designs Group delivered the design, construction documents, and the contract for on-time construction for both projects. LDG went beyond the architect’s call to provide not only the scope, but to schedule, communicate, and execute both projects. The LDG Team provided rapid design iterations and pursued constant feedback from the team, coaches, administrators, and project planning staff to hone the design and incorporate client input.